oo exciting! you're famous now! Oh, how cool! You look so cute, too! It is so cool that you're in the Post! I am really impressed that you can juggle, haha. I'm miserable at anything requiring kinesthetic intelligence. wow! i love it! can you teach me?? congrats on having your picture in the newspaper! i can juggle too! i had to learn to get an A in p.e. during middle school. 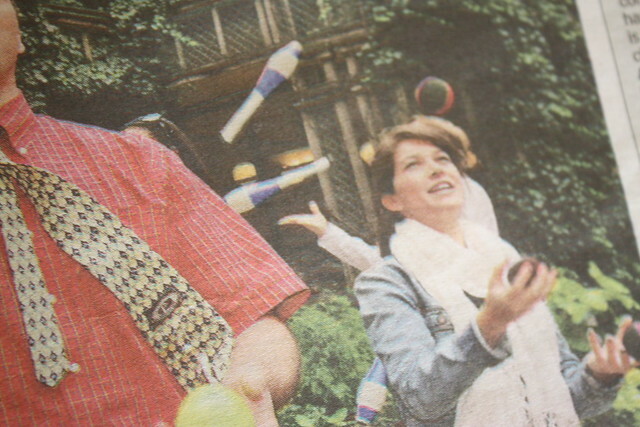 Totally cool -- I'm always so impressed by people who can juggle! HA!! how awesome! You are very talented miss! What a cool thing to get in the paper for too! I love your last outfit, the skirt is amazing!!!!! And thanksgiving dinner is... wow I'm hungry, nice food politics ;) and your mom is so pretty and young!!! That's really cool, and love the last post as well, all that food...I'm feeling jealous of you americans and your apparently very tasty holiday! Love your coat as well! This is so awesome! How cool...oh, and I love your Thanksgiving look. So amazing! New follower here! haha oh my gosh that is so cool!! 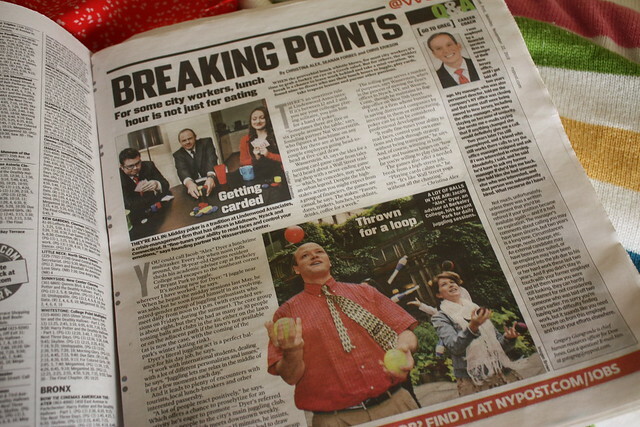 I've always wanted to learn how to juggle but I think I'm just too uncoordinated--bah humbug! Haha thanks amazing! Have you saved that newspaper?